Having previously observed that a big draw of NHK's historical dramas is the very attractive women they cast in the lead and supporting roles, I feel obliged to point out that NHK hardly shuns the aesthetic when it comes to the men. The stodgy network has a fondness for chart-topping rock stars with decent acting chops. 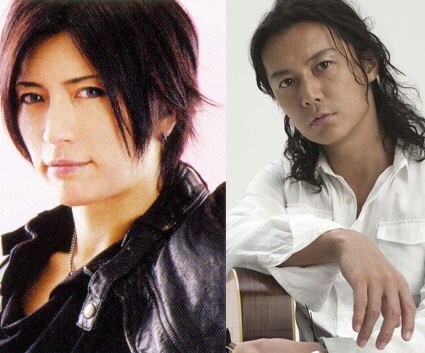 For example, Gackt (left) in Fûrin Kazan and Masaharu Fukuyama in Ryômaden. And last month on Yamamoto Yaeko, a fencing match was concocted in order to give Hidetoshi Nishijima, who pays Yaeko's older brother, an excuse to strip down to the waist. I'm sure it was important to the, ah, um, historical accuracy of the scene. Though for some mysterious reason, nobody else did.